Today I wanted to share a few hints with you about colouring RED with your Copic Markers. Because red is such a highly intense colour, people often have problems colouring with it. 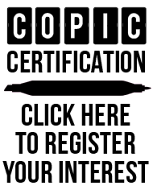 More often then not, people over saturate the area, resulting in the 'bleeding out' below. The first, and probably biggest hint I can give you is to make sure you are working on the right paper. 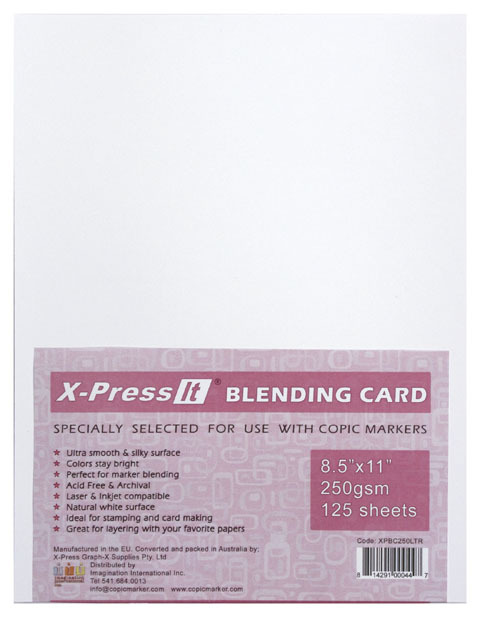 X-Press It Blending Card makes colouring with reds a whole lot easier! I have stamped La La Land Craft Image: Christmas Elf Marci onto my paper. I always apply my lightest colour first. Another hint ...be extra light handed. Next I flick in my R35. Notice I have started away from the edge of the image. 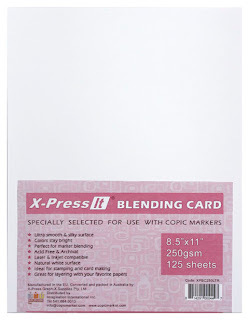 This will help to not over ink the edges. Finally, go back to your R32 to blend all the reds together. And there you have the perfect candy cane coloured in red!